Putnam County, New York Horse Directory - O Horse! Welcome, and thank you for visiting Dusty Stables. Owned and operated by Jimmy Keon and Naomi Fanourakis. 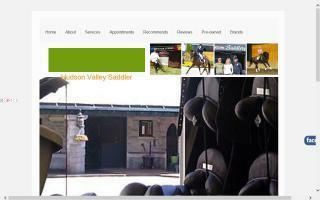 We are a horse boarding facility located in beautiful Putnam Valley, New York. We offer 12x12 matted stalls with double dutch doors overlooking the property. We provide all day turnout, stall cleaning, feeding, watering, etc. We have a spacious outdoor ring with plenty of riding room for everyone. We welcome all types of riding, and we are reasonably priced. For all inquires, including price and availability, call Jimmy at the number above. We'd love to hear from you! Horse boarding, trails, and riding ring. Tracie Montgomery is the qualified Custom Saddlery fitter serving all of NY. Our belief at Custom Saddlery is that every saddle should fit. Please contact Tracie to schedule a fitting appointment. She will come to your barn with a van full of demo saddles for you to try. Your horse will be measured and assessed. We have many different trees to accommodate a wide variety of horses, from ponies to Thoroughbreds and everything in between. From there, we will find a comfortable seat, flap, and thigh block configuration to help you achieve the optimum position on your horse. Saddles can take up to 10-12 weeks to complete, so make an appointment today. Additional services include on-site flocking and tree adjustments. 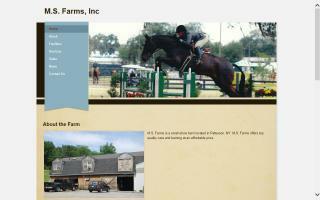 Hunter jumper boarding and training facility. Top quality training for an affordable price. Small, highly individualized facility with top of the line care. 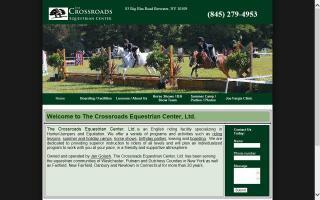 Horse boarding and lessons close to the North Salem, Brewster, and Ridgefield areas. For some of the finest in boarding and lessons, visit our website. Large stalls with huge indoor and outdoor riding facilities as well as trails. Excellent grass turnout. Easy access to I-684 and I-84. 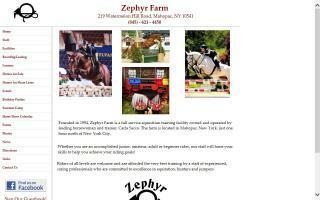 Founded in 1994, Zephyr Farm is a full service equestrian training facility owned and operated by leading horsewoman and trainer, Carla Sacco. Riders of all levels are welcome and are afforded some of the very best training by a staff of experienced, caring professionals who are committed to excellence in equitation, hunters, and jumpers. Whether you are an accomplished junior, amateur, adult, or beginner rider, our staff will hone your skills to help you achieve your riding goals! Just 50 minutes north of NYC, Zephyr Farm offers boarding, sales & leases, lessons, training, and showing in a friendly atmosphere!